A single company, called the Alibaba Group, in a single day, called Singles’ Day, sold over US$25 billion worth of items! 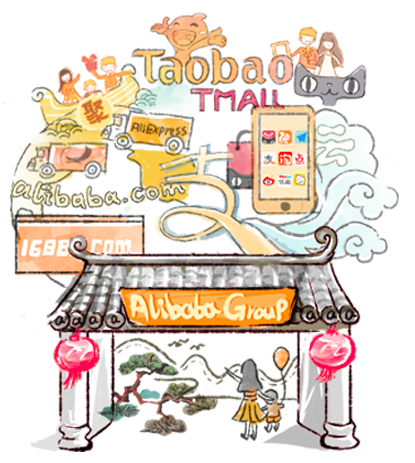 Alibaba is a Chinese online and mobile commerce company that has a bunch of Internet-based businesses. Amongst other things, the company allows people to purchase and sell products online or using their mobile phones (like the American company Amazon). It was launched in 1999 by Jack Ma, a former English teacher from Hangzhou, China. Singles’ Day is celebrated in China every November 11 (11/11 – all ones for singles). It is a holiday that was created in the 1990s by Chinese university students for people who were not married or didn’t have a partner. People buy things for themselves on this day (as opposed to Valentine’s Day, celebrated on February 14, when people buy gifts for their loved ones). Alibaba has helped make Singles’ Day the world’s biggest online shopping day. Many companies that sell products on Alibaba offer deep discounts and great promotions luring customers to come shop on Singles’ Day.